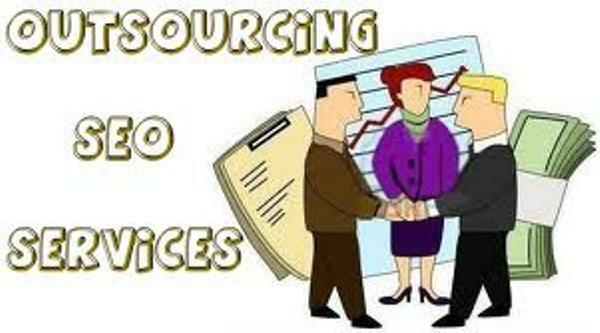 Benefits of outsourcing SEO services | Be "Noticed"
Benefits of outsourcing SEO services. Search Engine Optimization now requires more attention and higher expertise due to the constant change in search engine rules and algorithms. After realizing this fact, many companies like PR firms, web developers etc which used to handle the SEO processes by their own, now agree that it is better to outsource these SEO processes. There are now many SEO companies which provide SEO services. The SEO provider remains anonymous, and helps in maintaining the brand image of Client’s Company. Better quality service: A SEO company offers the SEO services by knowledgeable team of professionals which are totally dedicated to SEO. They develop such methods or steps which strengthen the online presence of business. They monitor the industry trends; check the targeted keywords to improve the search results of clients’ website. Timely delivery: The other important benefit of outsourcing SEO services is Time factor. Outsourcing SEO services will not disturb the workflow of the company and saves time. Flexibility and other benefits: Different SEO companies provide additional services in their packages. These additional services basically include articles for promoting products of the company, creating back links for company’s website. Ability to keep latest trends: The new trends in internet marketing are introduced one day or the other. The SEO professionals have knowledge about these new trends and mould their services according to the new trends. This helps to achieve better results. Handle technical work: SEO team continuously works on all the projects as SEO is a continuous process. They monitor the performance of the website in Search engine results pages. Proper guidance: SEO professionals give you the proper guidance about the risks involved in the process and make you aware about the latest processes. How long they have been involved in SEO services? What all are the services they provide? How many successful SEO clients do they have? Do they give any assurance on Google ranking? How do they measure and monitor your web traffic? Therefore SEO Company provides both on- page and off- page optimization services. On-page optimization services include Web Development, internal linking, sitemap.xml, unique content, image optimization, Map Optimization, etc whereas off page optimization services include: link building, submissions, copy writing, content marketing etc. I am Deepika Garg working with SEO Rank Smart from last 4+ years I like to share SEO related latest News and updates through my writing skills.